Honey Cake with Rum & Butter Bananas. This easy to make rich honey cake is wonderful all on it’s own but dress it up with some quickly sautéed rum and butter bananas to take it to another luscious level. Honey Cake with Rum & Butter Bananas. I don’t know why I love this honey cake more, because it is so moist and delicious or because it is so quick and easy to make. I am a big fan of one bowl cake recipes and this one is among the best I’ve ever tried. One bowl cake recipes are proof positive that there is no good reason to resort to cake mixes when for the sake of a little extra measuring of ingredients, they are no more difficult to accomplish than a mix. We generally use organic honey in our Honey Cake. The rum and butter bananas are equally easy to prepare and take just a few minutes away from the table for you to serve these fragrant warm bananas to your guests over this great honey cake. I’ve also often served these warm over very good quality vanilla ice cream for an equally impressive dessert. These bananas were bought only a few days apart. We have plenty of great recipes for ripe bananas, like the accompaniment to this Honey Cake. 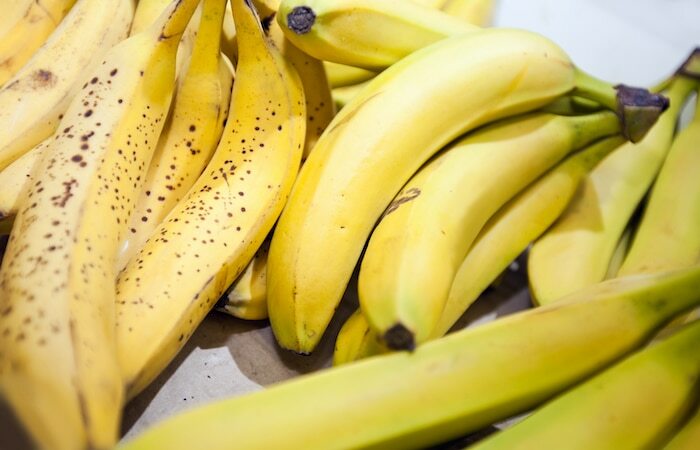 Want more recipes to use those ripe bananas that always seem to be on the countertop? Find dozens more banana recipes here. Like this Honey Cake recipe? We love our weekend brunches around here and this cake would make an excellent addition to the menu. We also love our scones for brunch and recently put together this collection of our 25 Best Scone Recipes. Our Honey Cake recipe follows the photo. Originally published January of 2013. Updated January of 2019 to include option for metric measurements and to add calorie and nutritional information. Honey Cake with Rum & Butter Bananas. This easy to make rich honey cake is wonderful all on it's own but dress it up with some quickly sauteed rum and butter bananas to take it to another luscious level. Preheat oven to 350 F. Grease and flour a bundt pan or 2 loaf pans. In a large bowl, whisk together the flour, baking powder, baking soda, salt, cinnamon, cloves and allspice. 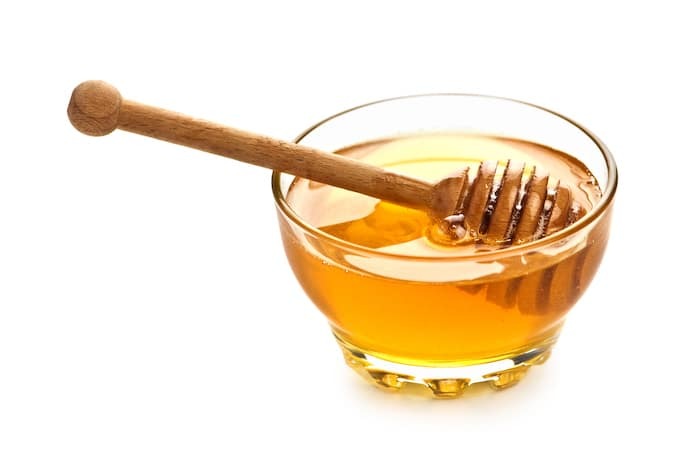 Make a well in the center, and add oil, honey, white sugar, brown sugars, eggs, vanilla, green tea and orange juice. Mix together with a whisk or on low speed in an electric mixer just until all the ingredients have been well blended together. Do not over mix. Pour batter into prepared pan/s and bake for 30-40 minutes or until a toothpick inserted into the center comes out clean. Baking times will vary depending on the size of the baking pans; the toothpick test is the best way to tell if the cake is fully baked. Rest in the pan for 10 minutes before turning onto a wire rack to cool completely. Melt butter and brown sugar together in a large saute pan and cook together for a few minutes over medium high heat until it begins to bubble and foam up. At this point add the bananas rum and vanilla and cook for only a couple of minutes more until the sauce slightly thickens. Serve warm over the honey cake. Those rum butter bananas look SO good!!!!!! I am definitely going to have to make those for my boyfriend as he adores bananas. Thanks for posting such a lovely recipe! Thanks for catching that typo. It has now been corrected. Barry, honey cake will taste better if you wrap it in plastic and let sit at room temp for 3 days. Can this sauce be made with bourbon or rye as there is no rum available? Thank you. This recipe was delicious and a hit with family and friends. Thank you.